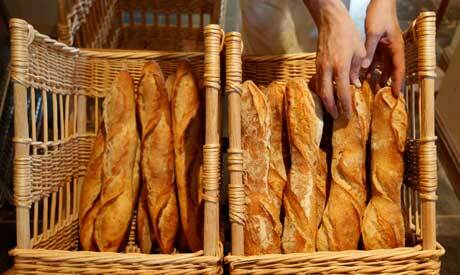 France's beloved bread loaf, the baguette, may be about to lose some of its bite, with politicians looking into the health risks of additives set to propose legislation forcing bakers and processed food makers more generally to slash salt content. "It's a real public health problem," said Loic Prud'homme, one of a 20-member parliamentary committee looking into the matter. "What we can now say is that voluntary agreements do not work and it's now time to switch to binding constraints," Prud'homme told Reuters. "In any event what's certain is that it's now time to move via sturdy legislation, which could involve setting constraints in gram terms for salt," he said in a separate interview on a public service radio station, francinfo. A report to be presented by the committee will also seek to tackle excessive use of other additives in processed food and pre-prepared meals, and seek curbs on advertising that aims to promote less-than-healthy food among children, said Prud'homme.